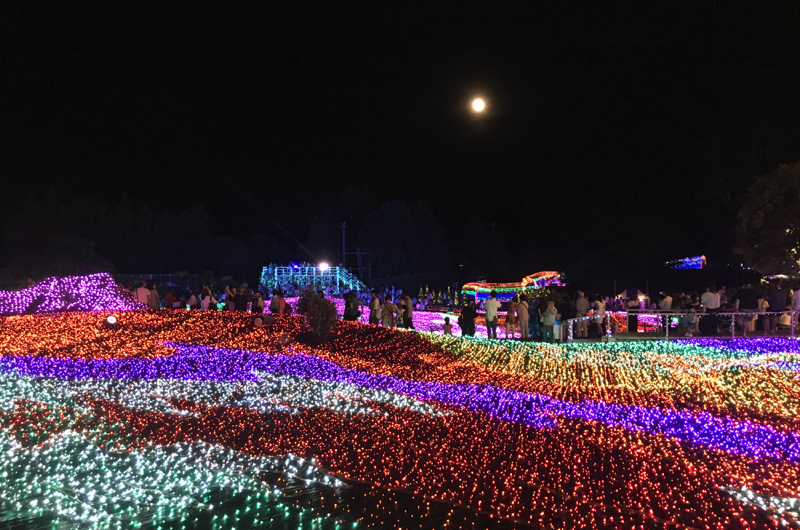 Ranked 1st in a national illumination ranking for two years in a row (on 2017/7/9 and 2018/9/1)! 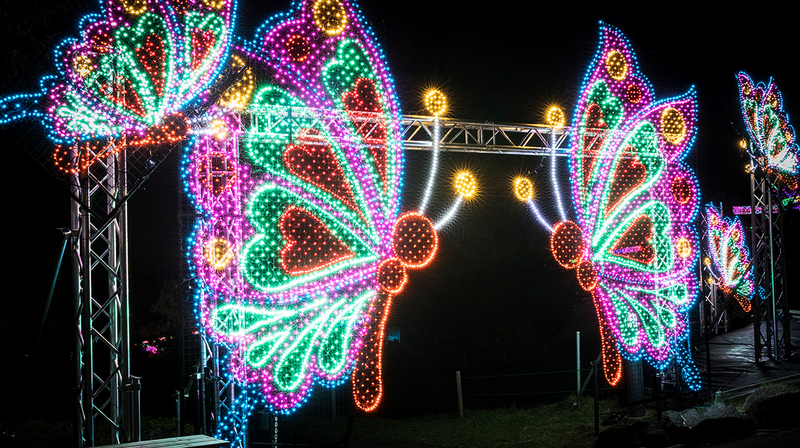 Our illumination event has become trendy on social networking sites and in Instagram snapshots thanks to the one of a kind light shows and attractions we’ve created all over the park. 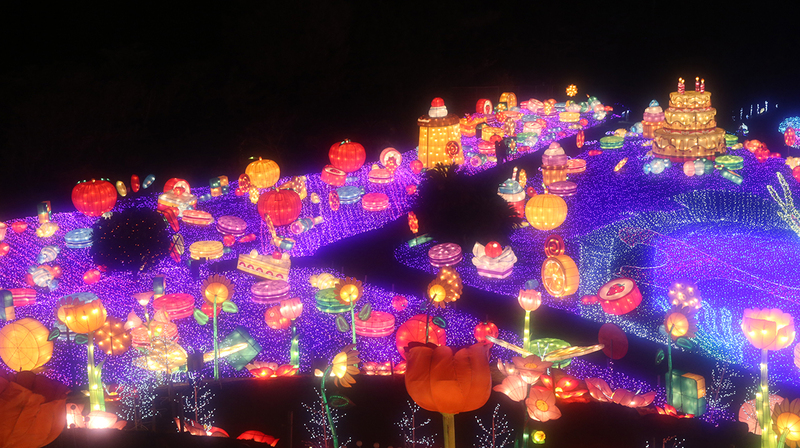 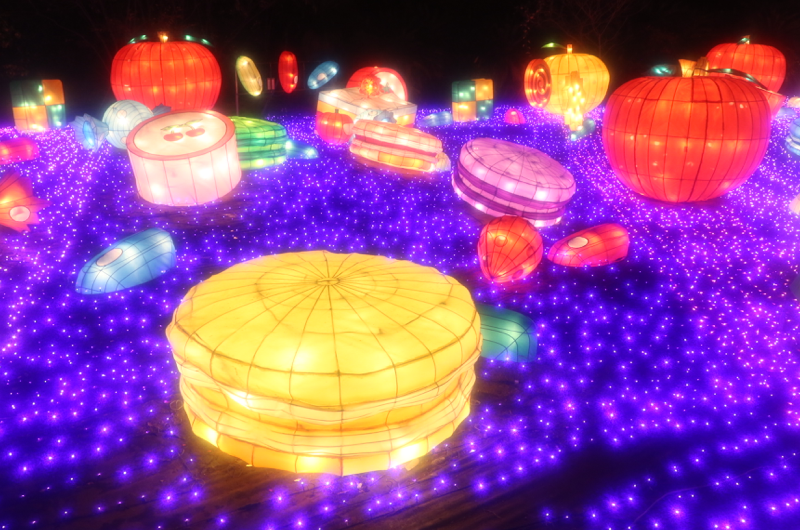 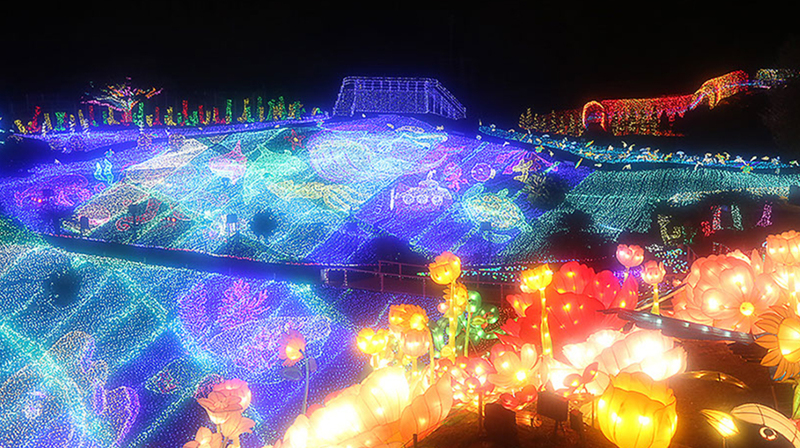 We have evolved from a “hands-on illumination event” to a “three-dimensional hands-on illumination event.” Our world of six million high-density LED bulbs, candy and flower gardens, and deep sea life is overflowing with a sense of three dimensionality. 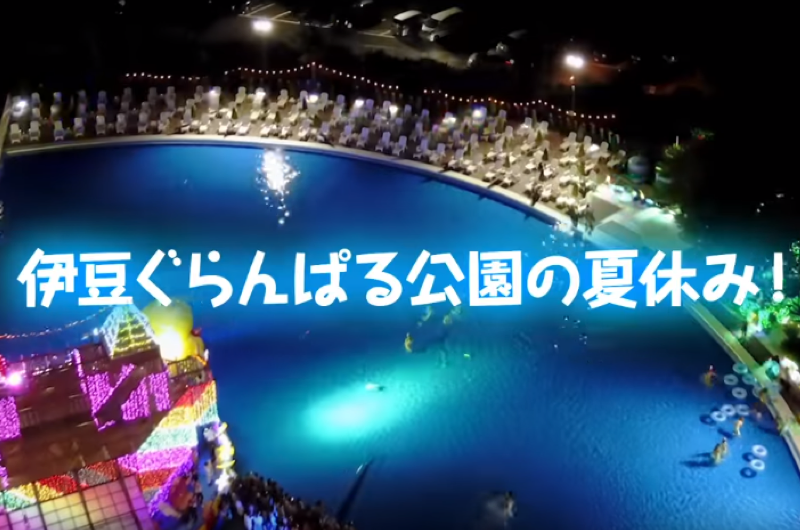 Summer event! 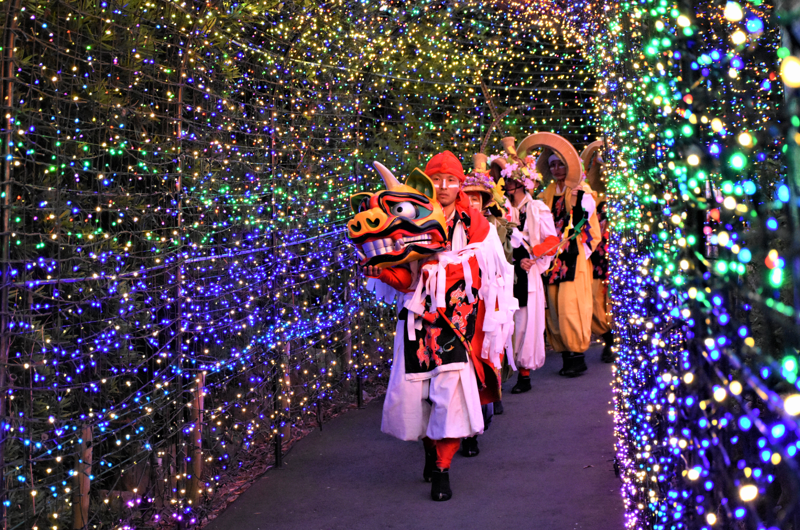 Performers gathered for the weekends only. 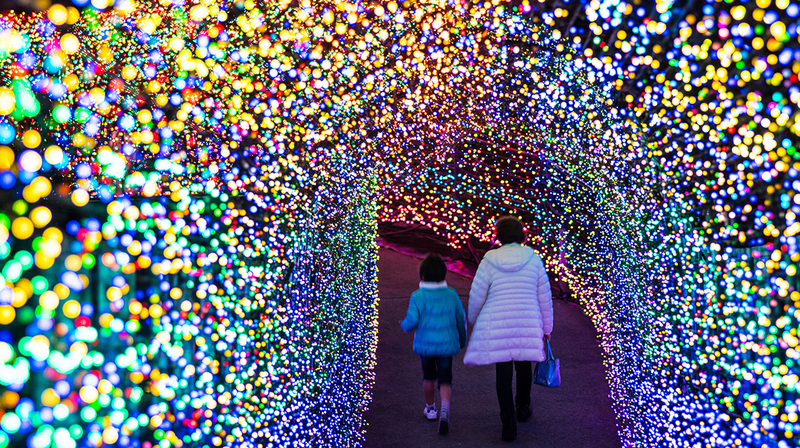 The design has been renewed completely, with the density of LED bulbs being doubled to four million. 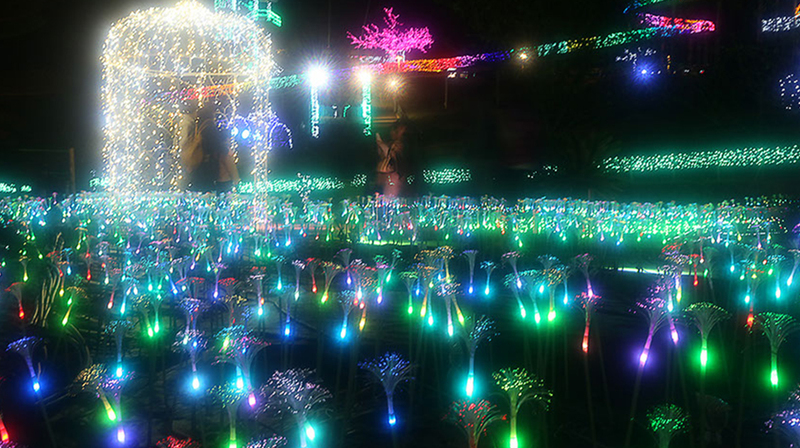 we were ranked both 7th place in the illumination category and 5th place in the newly established summer illumination category. 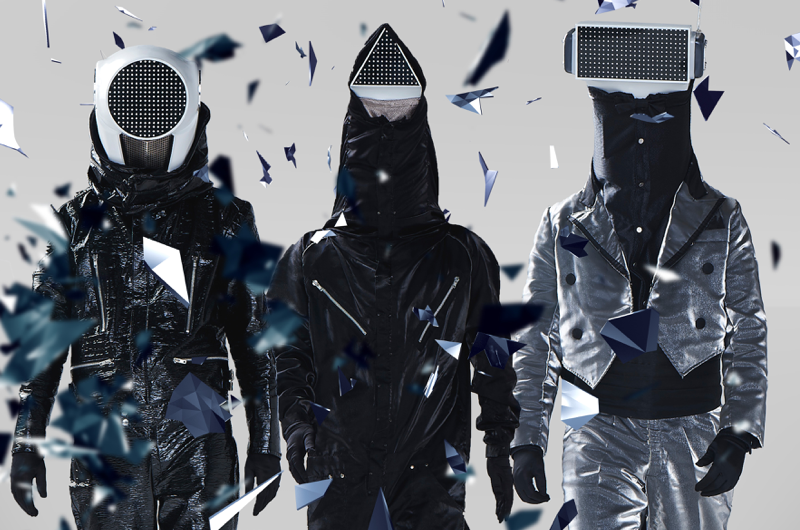 A special live event was held by Granillumi’s appointed good will ambassadors, the LED mask unit CTS. 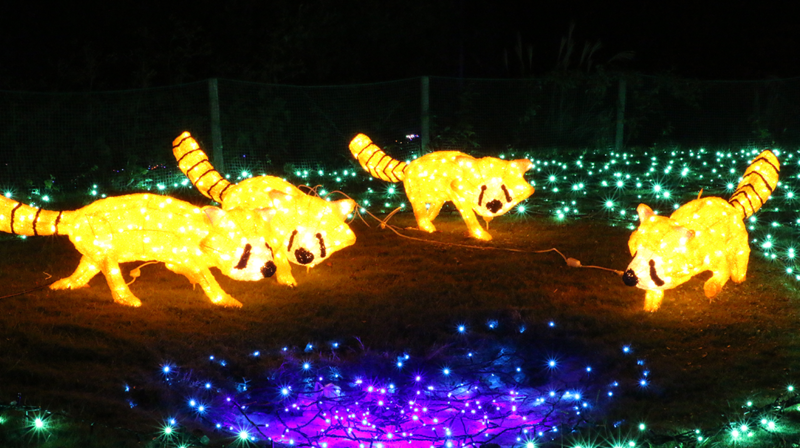 The limited time event “nighttime water play zone, wobbly night” opened! 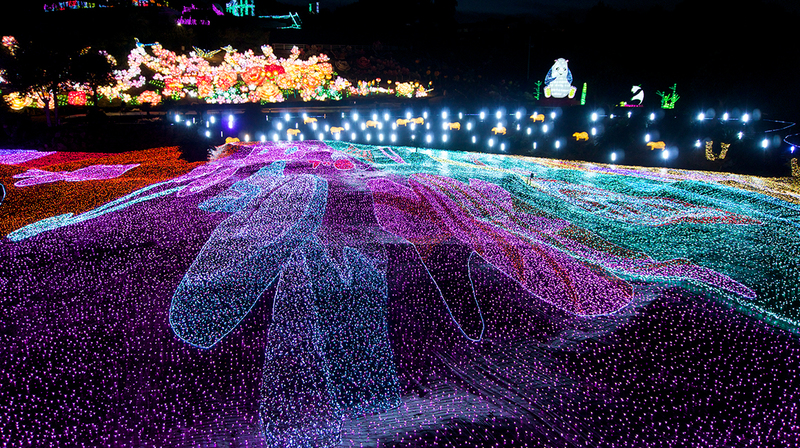 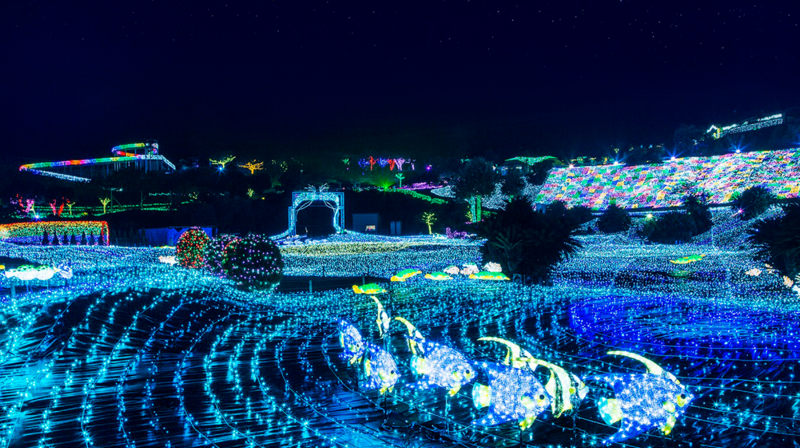 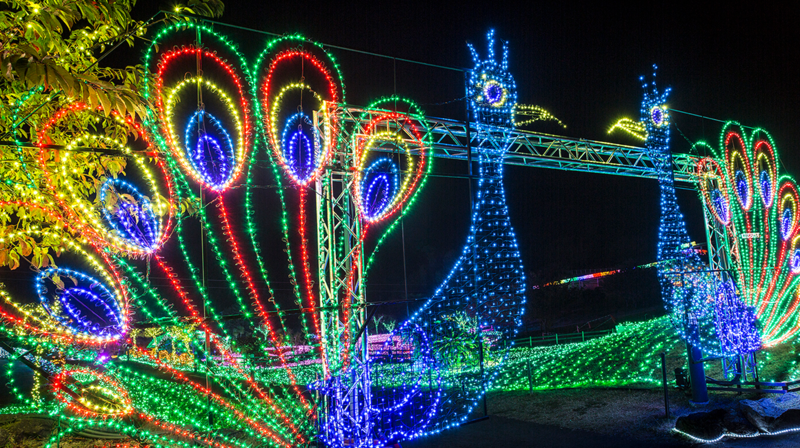 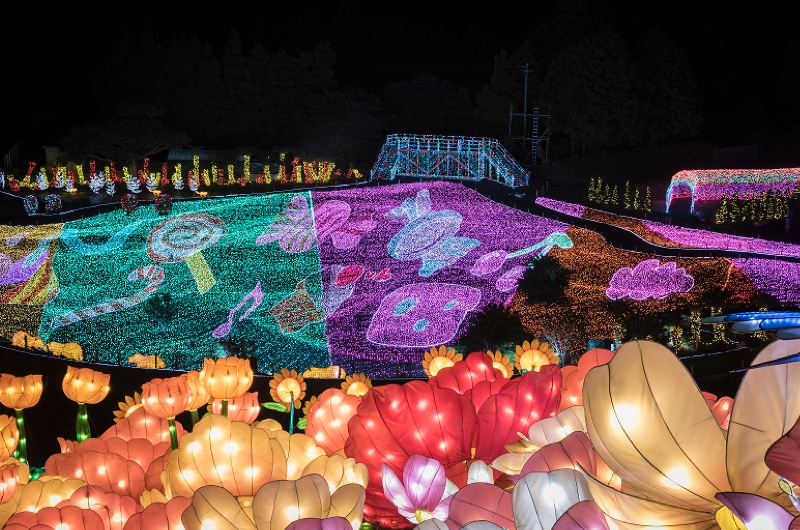 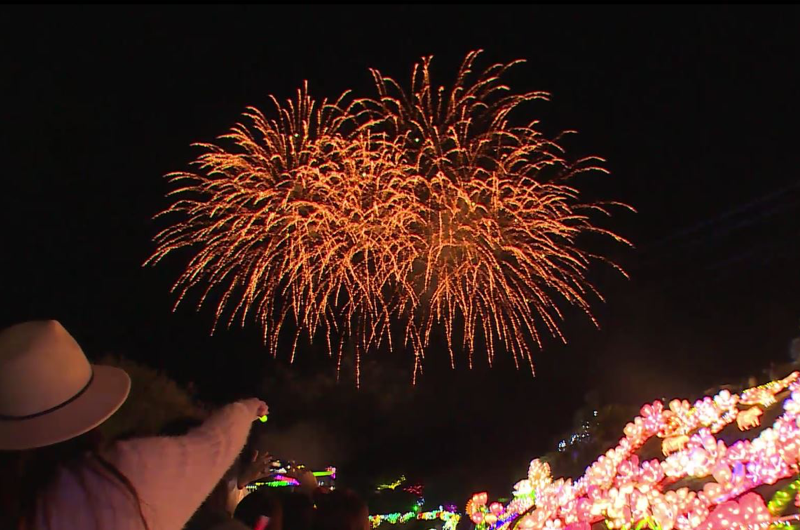 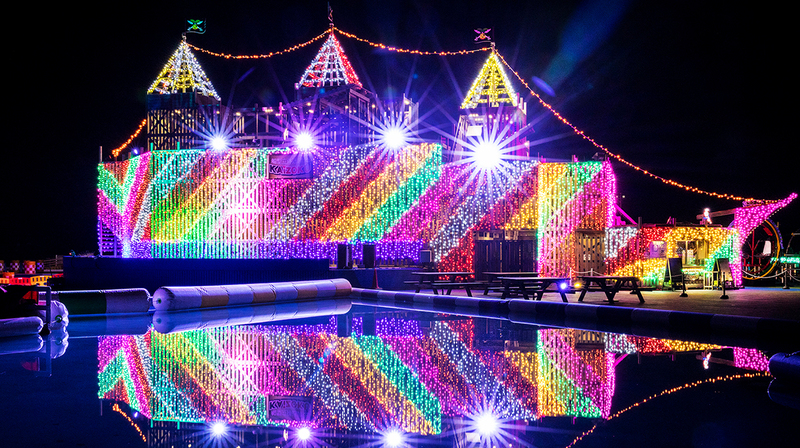 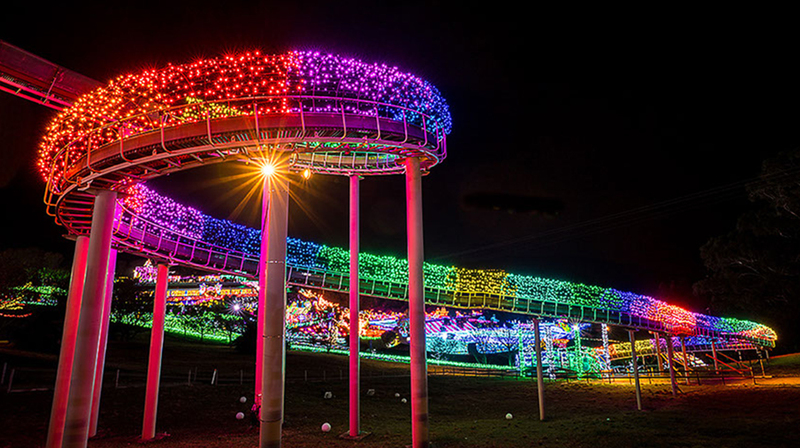 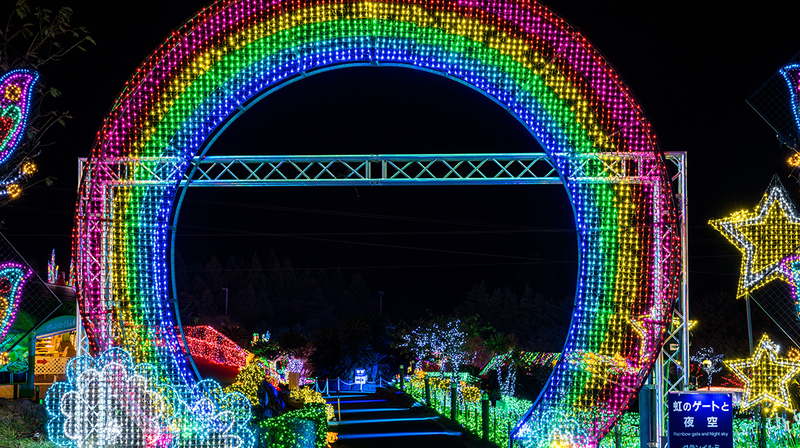 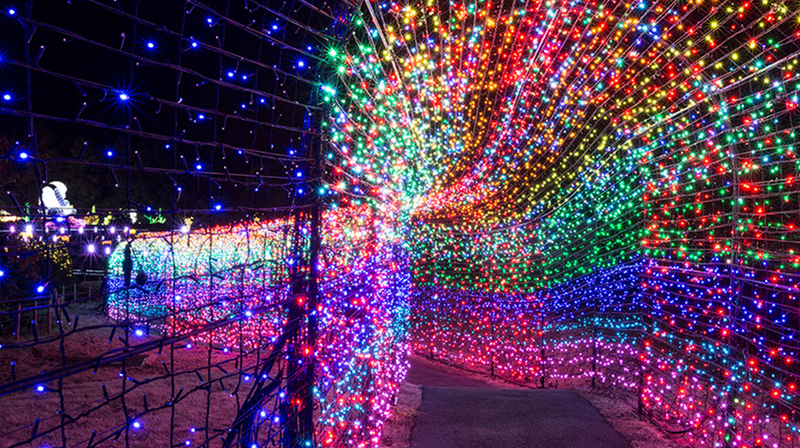 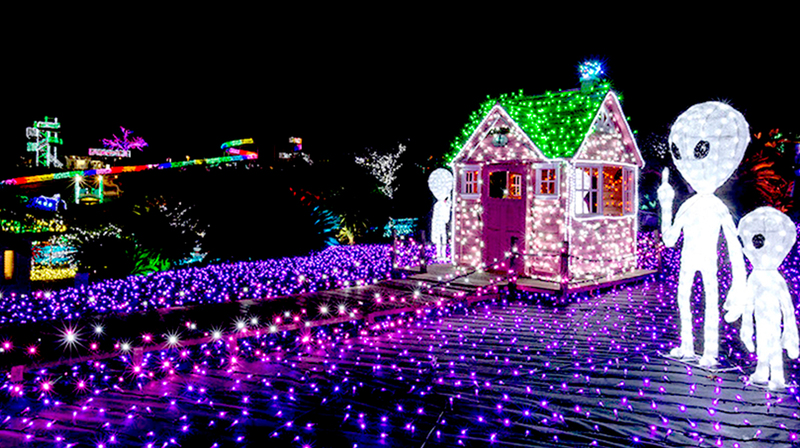 The Izu Granpal Amusement Park opened Granillumi (Grand Illumination) as a special project to commemorate the 50th anniversary of the park’s opening. 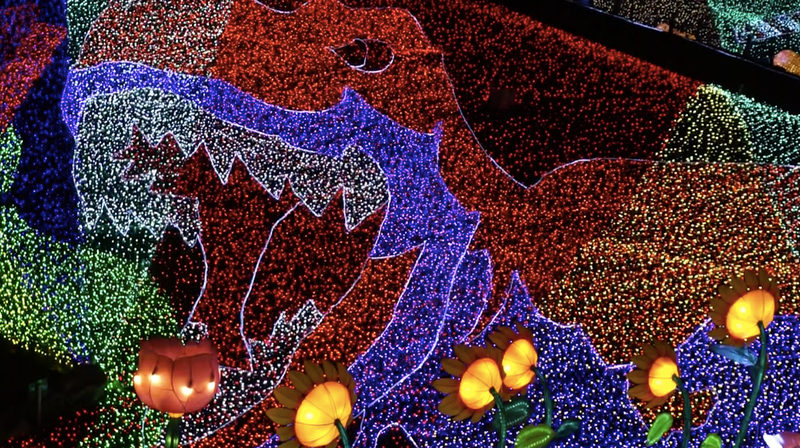 It consisted of 12 areas filled with unique artistic objects arranged like a mosaic and LED bulbs of varying colors, with the total of more than 2.1 million bulbs providing a dense “high resolution” feel. 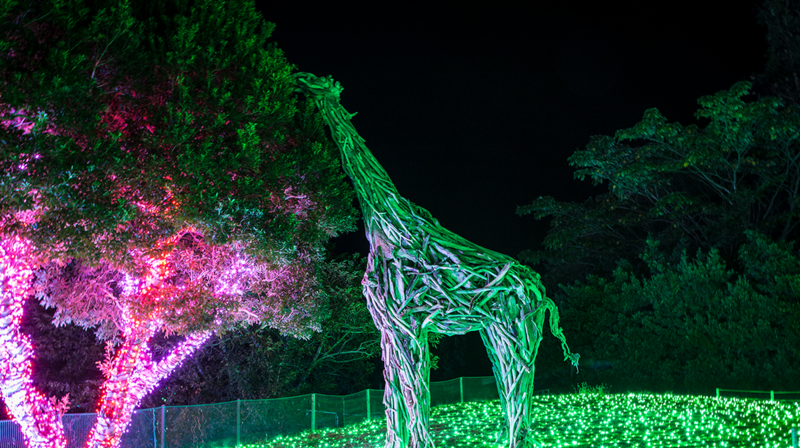 The night attractions were a hit and it received a great deal of media attention as a hands-on illumination experience. 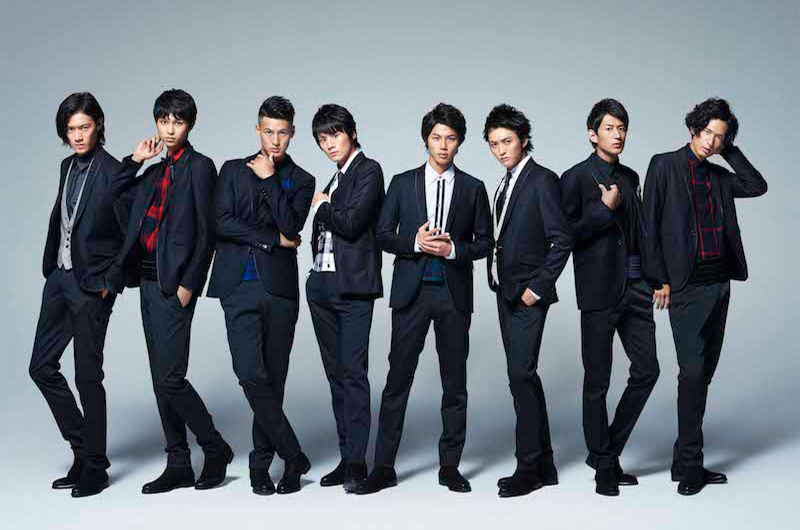 The 2015−2016 nationwide winter illumination support ambassadors SOLIDEMO held a special live event playing their new tie-up song “As You Are,” etc. 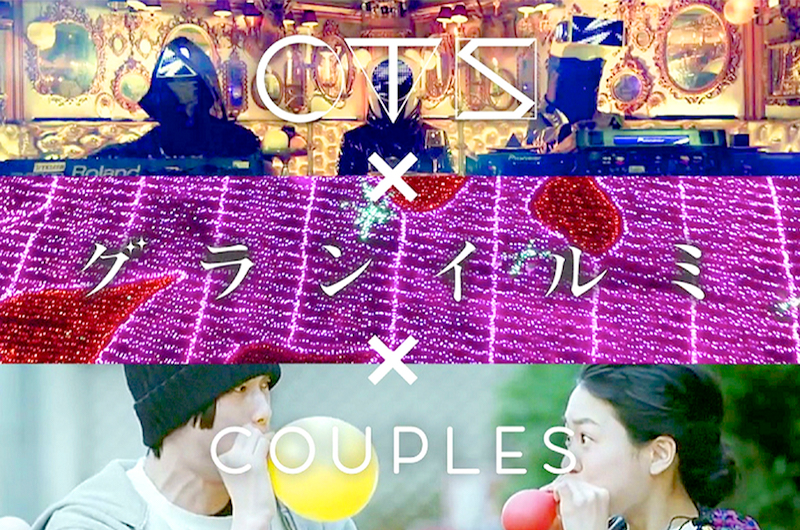 Granillumi held a Valentine’s and White Day event for couples in collaboration with CTS and COUPLES. 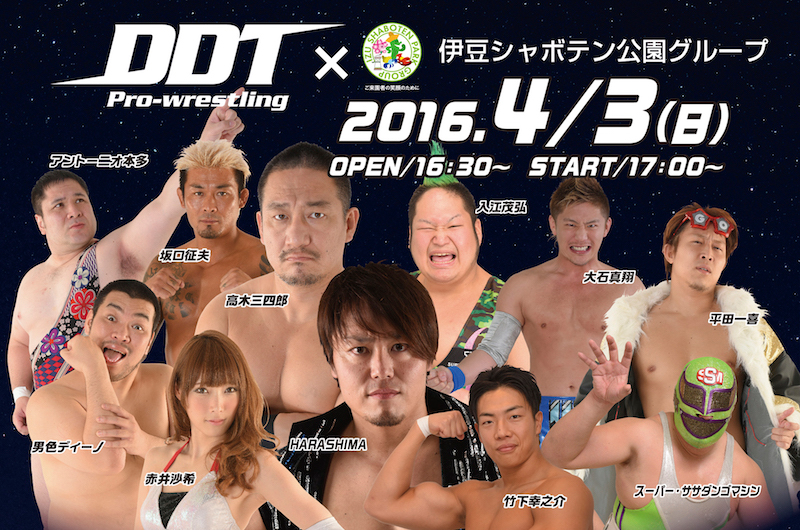 DDT Pro-Wrestling and Izu Shaboten Park Group collaborated to hold a pro-wrestling event on a specially built stage.